You'll treasure the opportunity to witness wild dolphins cavorting in social groups (called pods) in the splendid waters off the shores of Key West, Florida on this exciting and educational ecological excursion. Each of these inquisitive and friendly cetaceans possess their own unique and charming personality. You will be delighted by these charismatic marine mammals. The chance to see these incredible creatures in their natural habitat is only a portion of this eco-adventure. You will also enjoy a guided snorkeling excursion into the spectacular underwater environs of the Key West marine preserve. The Florida Keys are home to the lone living coral reef in the continental United States. This living reef thrives in this area due to the consistent water temperature due to the flow of the warm waters of the Gulf Stream from temperate equatorial region of the Atlantic Ocean. The living coral reef in the Keys is also the only living coral garden on the Atlantic side of North America. The warm and crystal clear waters in this area are ideal for snorkeling. The superior visibility will allow you to view the spectacular underwater sights of this teeming coral garden, including variegated sponges, exotic soft and hard coral growth, a kaleidoscope of brilliantly colored fish, gliding rays, marine turtles, crustaceans, mollusks, and much more. Our professional eco-guides will lead you to see the most active areas of the reef as well as the most interesting undersea sights. We will provide all the necessary snorkeling gear for participants on this tour. There is free parking at the location where this tour departs, follow the signs for dolphins upon arrival. Please arrive 30 minutes prior to your actvity taking place. Your departure time will be listed on your confirmation email. Can you accommodate more than 6 guests? This tour operates on 3 different boats and each boat can take up to 6 guests. If you have a group with more than 6, we can simply put you on two different boats. Typically we are able to take multiple boats to the same areas. Maximum capacity on each boat is 6 passengers. Private Charter max capacity is 6 passengers per boat. This is a wild dolphin watching tour. 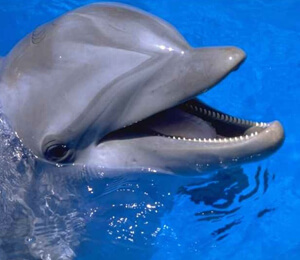 Wild dolphins are an endangered and protected species. I have been to the Bahamas many times, but Wild Dolphin Encounter and Snorkel is one of my favorite trips! It includes everything that everyone should do here. As a Bahamas veteran, I can say only the best about this experience!